Well Traffic is important for any blog. The best ways to get traffic for your blog is from search engines. But what if you have new blog? Though you good content and not getting much traffic? What i have did to Increase my traffic? Well i think this is the question in your mind now.Many of new bloggers and my friends are asking me how i increased my traffic in less time.so i decided to share this post.Below i have explained how and what i did these 3 months to get traffic for my blog. I always believe that content is King if you have good content then automatically you will get good traffic.i used to write good content but my my article are never got indexed in 1st Google when i started my blog.it took sometime now maximum of my articles are ranking good.So dont loose hope write good content as its new blog its take some time for Google to index your blog. Yes! this made me to get closer to success i was totally depend on facebook to get traffic for my new blog i used to share my blog posts daily in Facebook groups for 2 months without missing single day at that time my traffic is 300 visitors daily.Then i slowly stopped sharing my posts in groups,my traffic is down but happy thing is that i started getting search traffic form Google. Stumbleupon: I only used facebook at starting one of my friends told stumbleupon can bring huge traffic for your blog.then i started using stumbleupon its amazing i got huge traffic form stumbleupon by sharing my articles. After Stumble upon i would suggest you to go for Digg,Slashdot and reddit. Using proper keywords is most important for getting you search traffic .If you don’t have good tittle How can visitors expect good content in your posts? By using this tool you can know how many organic hits for that keyword monthly.you can also choose title for your blog posts by using this tool. If you are able to make your visitor to stay on your blog then you are success.The best ways is interlink within posts. Using anchor text in your posts is most important.for example:1 like below pic. This is most important for getting organic traffic.if your Post title not having that particular keyword then keywords in search description help you to rank your post. The best way to get back links is to write guest pots for other blogs and demand for 1 or 2 back links form their blog. Blog Commenting: Comment on commluv blogs to get back links. 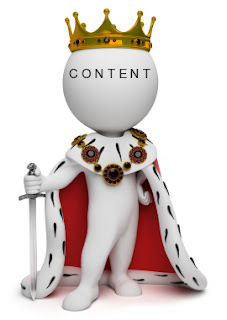 Don’t forget that content is king if you write good content then you will get back links automatically. The good commenting system always helps to get more comments.more the comments more the authority more the authority more will be traffic. There are many commenting systems but i Suggest you to use Disqus. SEO is always best way to get traffic from search engines like Google,Yahoo,Bing. Yes! your template plays a major role in increasing in your blogs traffic.if its responsive and user friendly this make reader comfortable and helps to spend more time on your blog. 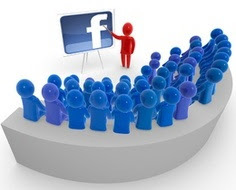 My advice for new bloggers is to get traffic from social media like using facebook and Stumbleupon.i have a huge collection of Facebook groups.We are also having some Big facebook fanpages which can bring more traffic for your blog. Nice guide to increase traffic for our website. For my website traffic, I choose SEO technique. SEO helps to ensure that a site is accessible to a search engine and improves the chances that the site will be found by the search engine. SEO is the best one to increase traffic for any kind of website. It gives high quality traffic for our website. And, I got SEO service from XnYnZ.com here they provide Search engine visibility service which bring traffic to my website. Here they provide you One-click submission of your site in many search engines like Google, Yahoo!, Bing, and AOL etc... and they also provide Powerful reports that show you how to move your website up in search results.